I had the opportunity to venture to a part of Edwards Air Force Base that I generally don't go and haven't been to in probably 10 years. The lighting was really just amazing and the conditions were great for an impromptu photo scout. The road image was actually suggested by a friend of mine and as I started composing the shot it really starting coming together. It was a pretty wonderful scene and I think it would be a spectacular location to photograph people. It is also secluded enough where you really don't have to worry about a lot (or any) traffic down that road. 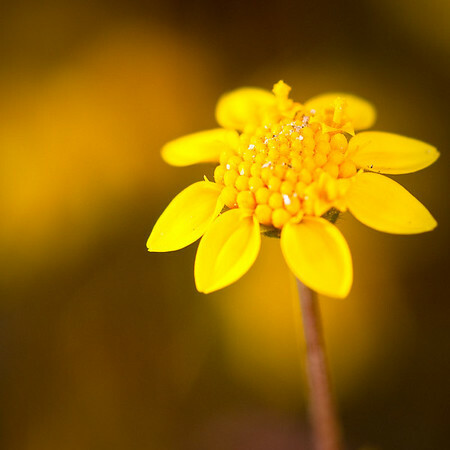 I also had the good fortune that the flowers were blooming and looked really beautiful. Now I wish I could say that my allergies were doing well and all I can say is that with the desert in full bloom I think it's (the desert) is trying to kill me! The other really cool thing about this location is that there are a couple of airframes that have been strategically placed in the desert. 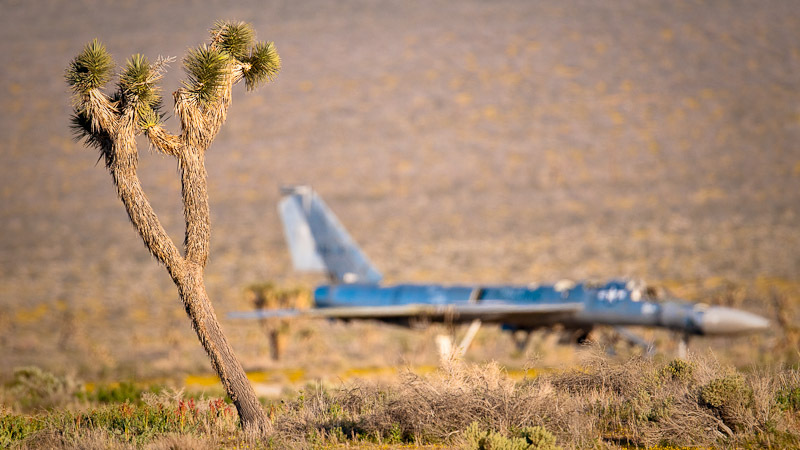 I am not really sure of the history of why they are there but the contrast of the Joshua Trees with the airframes just sitting there was really interesting. I was also fortunate enough to have a nice long lens with me so I was able to really pull the two elements together. Wow! Love the long lens compression of the road at the low angle. Nice work!